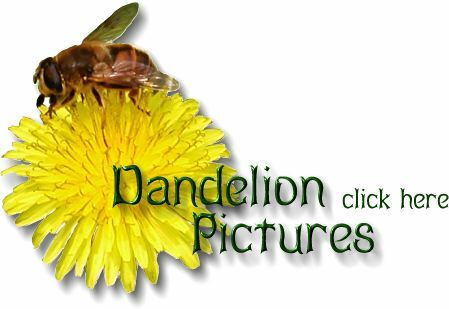 Dandelion pictures that you can put on your desktop! Dandelion folklore, and odd but true facts. Stories, observations, and other excerpts from literature concerning the dandelion. A recipe for real dandelion wine! "Among the humbler plants, let me not forget the dandelion that so early dots the sunny slopes, and upon which the bee languidly grazes, wallowing to his knees in the golden but not over-succulent pasturage." - John Burroughs, from "Birds and Bees, Sharp Eyes, Etc." "How little are children aware, as they blow away the seeds of dandelion... that they are fulfilling one of the great ends of nature." - Sir J.E. Smith, from "The Mirror of Literature, Amusement, and Instruction."